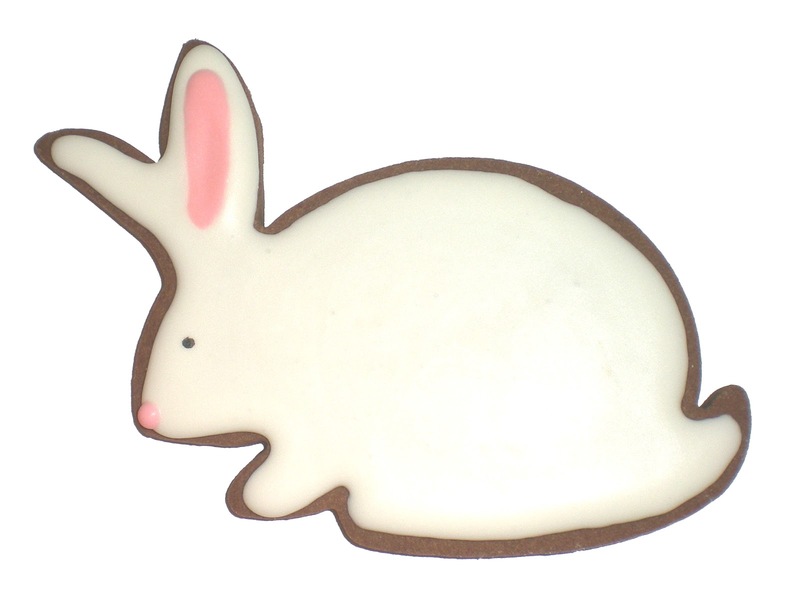 THE GINGER COOKIE: RABBITS, RABBITS AND MORE RABBITS! We have had pet rabbits. 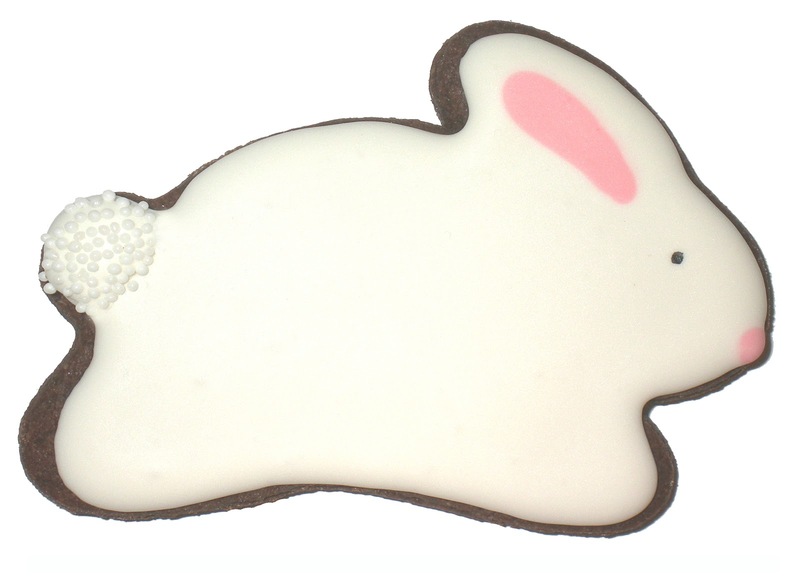 The first was an Easter bunny for the family that we named Snoopy - because he liked to sit on top of his house. Later Jill had rabbits - an unfriendly dwarf named Br'er Rabbit (fondly called "mean little ____") and then she had two lops. The first was Eeyore (Winnie the Pooh of course) and the next was Buckthorn (from Watership Down). They were wonderful pets - we all loved them! Now I have two garden rabbits made out of plaster and a couple of stuffed rabbit dolls that Nina made a long time ago for Easter, some rabbits for Easter decor AND we have wild rabbits enjoying the lawn in front of our house! They are very cute and impossible to discourage! We live with an imperfect lawn! 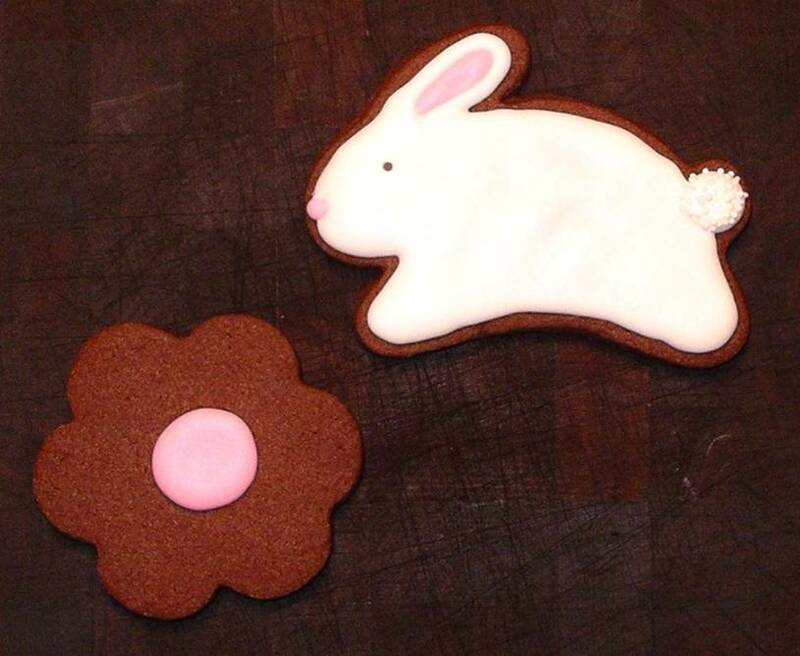 Rabbit cookies are low maintenance and fun to make! At the top of this post is Ann Clark's wonderful shape. Above a rabbit both Nina and I made last year - over a thousand miles apart they came out looking identical. NINA SAYS: I just love those little white sprinkles for the tail, so much that I used them again this year. she made chocolate sitting bunnies. Good job - I like the colors, Nina! NINA SAYS: Thanks, Momsu! I was happy with the colors, too.